Bumblebees depend almost entirely on flowers for their food and, like us, they benefit from a varied diet. When the queens are establishing nests. When nests are producing new queens and males. When queens are fattening up ready for hibernation. It is also important that the flowers present are useful for bees. Certain plants have flowers that have shapes that bumblebees cannot use. For example, some flowers have petals that form long tunnels which are too long or narrow for the bees to feed from. Other flowers may not be suitable because they produce little or no pollen and nectar, often as a result of selective breeding by horticulturalists for their pleasing appearance. Plants like pansies and double begonias offer little for bumblebees and other pollinators. It is very easy to find plants for the garden that are good for bumblebees. Visit our Bee kind gardening tool to find out which flowers are best for bees. More information on providing larger areas of land for bees can be found in our Land management advice section. Nest sites and sizes vary between bumblebee species. 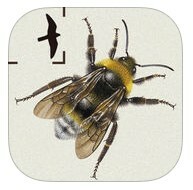 For detailed information about bumblebee nests, please visit the Bumblebee nests section. Only new bumblebee queens go into hibernation over the winter. Very little is known about the preferences for hibernation sites, and how this differs between species. However, some research suggests that they prefer to hibernate in north-facing banks, where they dig into vegetation and loose soil. In this soil they form a small chamber, in which they spend the winter. It is not uncommon for people to find bumblebees hibernating in their compost heaps or in soil beds in their gardens.